Twilight Sparkle, Rarity, Applejack, Rainbow Dash, Pinkie Pie, and Fluttershy. They’re the main characters of My Little Pony: Friendship Is Magic. And my daughter knows all their names, although she has never seen an episode of the show. She’s seen video clips and has a couple of the toys. 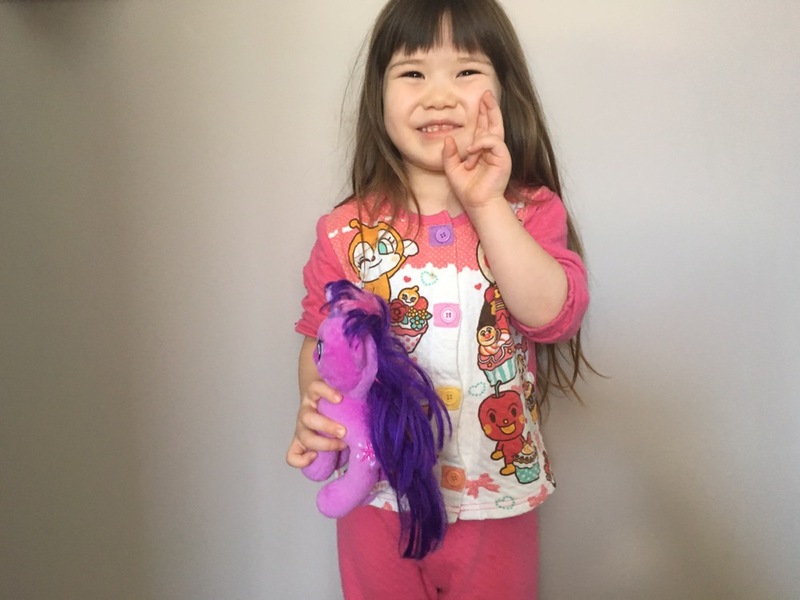 That’s her posing with Twilight Sparkle. She says that’s her favourite. But I think she really wants Rainbow Dash, because she loves rainbows. I discovered that the TV show is on tomorrow morning at 9:20 am. Might have to get her to watch it. For those of you with kids, what shows do your kids like to watch?